Homeopathic medicine for the temporary relief of minor symptoms of menopausal discomfort, such as hot flashes and mild mood changes. Advantages for your patients include: no risk of addiction; may be taken along with conventional medicines; and quick dissolving tablets. 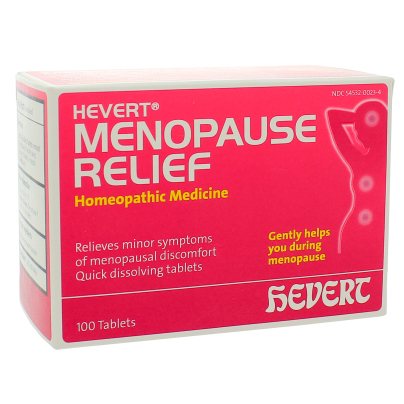 With Hevert Stress Relief you chose a proven homeopathic medicine. Its active ingredients are generally well tolerated and provide effective relief of the symptoms of stress. This medicine is also suitable for children aged 6 years and over. Adults: Dissolve 2 tablets in mouth 3 times daily. In acute cases, dissolve 2 tablets in mouth 6 times daily.